A Bifold door could be the answer to lack of light in your kitchen or living room. You could fit a bifold door and have light and air streaming into those previously dark rooms. It will also add value to your property and provide you with a feature you can enjoy all the year round. 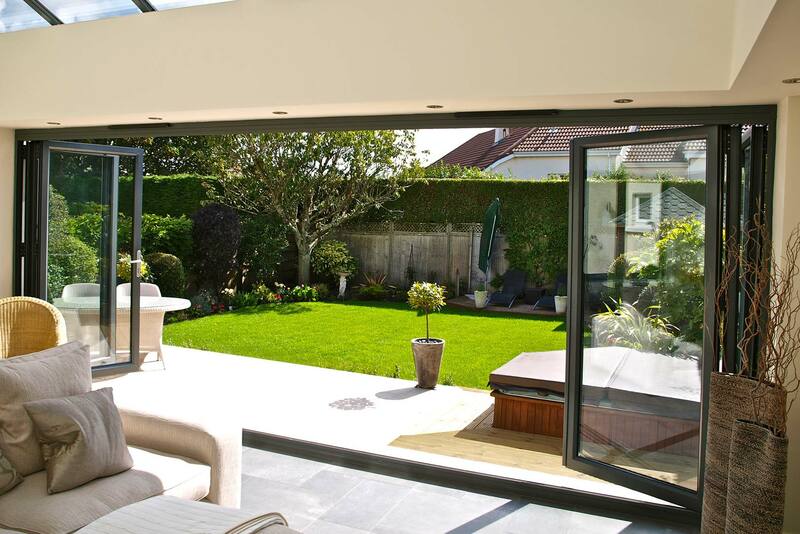 Here at Camberley Glass and Windows we are very experienced in providing and fitting bifold doors. We are a trusted local company with many years experience in fitting bifold doors for the people of Frimley and the surrounding area. A bifold door is a wonderful addition to your home, but you don’t want to make an expensive mistake which is why you should choose Camberley Glass and Windows for your door. Our experienced staff are all fully-qualified and FENSA registered. They will be happy to answer all your questions and advise you on the best choices for your home. We take our high reputation very seriously, and are a trusted trader on the Buckinghamshire and Surrey Trading Standards Approved list of traders. You can also see our high ratings on the Checkatrade website. We are proud of having a large number of satisfied customers, some of whose comments you can read on our testimonials page. This is the reason why much of our business comes from personal recommendation. Our showroom at our office in Camberley, Surrey is open for you to come and browse at your leisure, pick up a brochure, and if you wish you can talk to one of our experienced staff about your ideas for your bifold door. We offer no pressure advice and are alway eager to help with your queries.